VLADIMIR YEVTUSHENKOV RUNS THE GAUNTLET – WHY NOW, WHY NOT? Conspiracy or screw-up — there is no shortage of complicated theories in Russia to explain why an oligarch of Vladimir Yevtushenkov’s (image, left) size is being made to run the gauntlet, quite apart from the fact that he’s probably guilty of the crimes alleged against him. What is missing is the Russian equivalent of screw-up. That’s to say, who screwed up – if this is what is happening. Yevtushenkov’s arrest was announced on September 17; the conditions of his arrest were modified slightly on September 19. Putin’s remark, thirteen days later, helped arrest the stock market collapse of Yevtushenkov’s holding, Sistema’s share price, because Putin was interpreted in the market as doing the opposite of what he said – to intervene in the investigation, and order the dropping of criminal charges. At the point at which Putin said he wasn’t intervening, Sistema’s share price had reached a low of $6.55, with a market capitalization on the London Stock Exchange (LSE) of $3.2 billion. At the start of the year, it was trading at $32.50 with a market cap of $15.7 billion. Just over $5 billion of that was lost in the general decline of Russian stocks as the war in the Ukraine intensified, and the US and the European Union opened fire with sanctions. 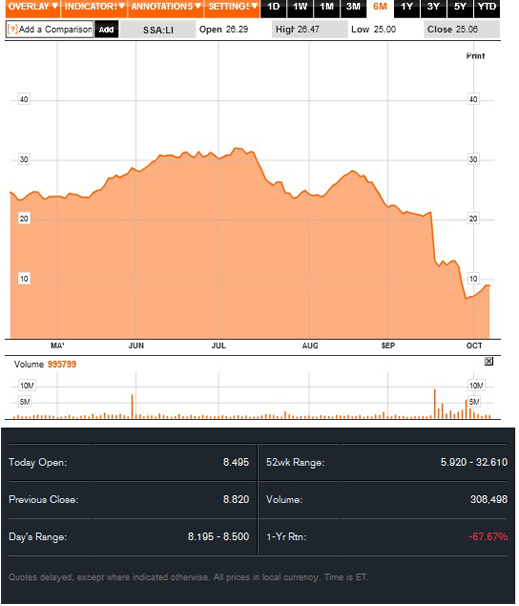 Following Yevtushenkov’s arrest last month, Sistema lost another $7 billion in value. Sistema’s net debt stayed put. The company reports that short-term and long-term loans, plus notes and bond obligations, totalled $13.3 billion as of December 31, 2013. They had climbed to $15.8 billion as of June 30. The principal loan creditors to Yevtushenkov were the Russian state banks – Sberbank, VTB, its subsidiary Bank of Moscow, Gazprombank, and Russian Agricultural Bank. As the value of their collateral in Sistema and Bashneft was collapsing, their exposure to Yevtushenkov totalled almost $7 billion, or about three-quarters of his total debt. Putin’s offer to allow the confiscation of Yevtushenkov’s assets, but keep him out of jail, has added $1.1 billion to Sistema’s market cap, and to the collateral value held by the state banks. Yevtushenkov meets Putin, then prime minister, on May 5, 2009, just after just after the Bashneft acquisition: They have not been photographed together since Putin resumed the presidency in 2012. 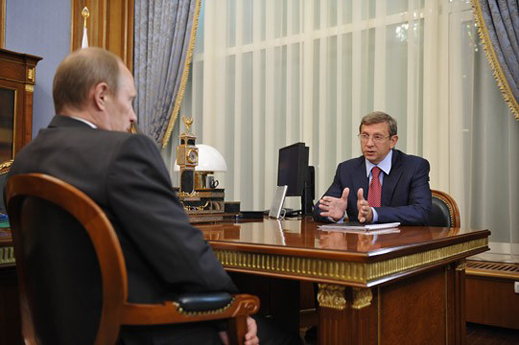 There are Moscow press reports claiming Putin stopped taking Yevtushenkov’s telephone calls in June of this year. When Alexander Bastrykhin (lead image, left), chief of Yevtushenkov’s prosecutors and head of the Investigative Committee, signed the arrest warrant, he didn’t leave the Kremlin in as much dark as the state banks. “I relate to this as to a big tragedy,” the Sberbank head German Gref said immediately after the arrest. “The deal with Yevtushenkov’s structure buying these assets was fully agreed at all political levels. I don’t understand what could have changed since then,” declared former Finance Minister Alexei Kudrin, an economic policy advisor to Putin and candidate in waiting for the prime ministry. According to Oleg Deripaska of Rusal, who is as indebted to the state banks as Yevtushenkov, someone had “swum out past the buoys” and gone beyond his safety net. Putin’s principal economic advisor Andrei Belousov and the Finance Minister Anton Siluanov have have refused to comment at all. The court hearings so far have been held to consider the terms of Yevtushenkov’s bail and confinement. A hearing on the charges is scheduled for November 16. The Bashneft oil company assets were acquired by Yevtushenkov in 2009. At the time, he paid about $2.5 billion for an 80% shareholding, making Bashneft worth about $3.1 billion. By 2013, when the first press leaks appeared, promising an initial public offering (IPO) on the London Stock Exchange (LSE), Bashneft had quadrupled its value, and was trading in the Moscow market at $12.5 billion. Morgan Stanley, Barclays, and Sberbank were issued with a mandate to sell another 10% of shares at IPO, with a target company valuation of between $15 billion and $20 billion. In short, Yevtushenkov thought he was about to multiply the value of his acquisition fivefold or sixfold, and take about $2 billion in cash for his trouble. He was still thinking the same on April 15 of this year, according to Interfax. Four weeks later, Yevtushenkov said the IPO was off, claiming “we have refused”. Actually, the international banks, their lawyers, and the UK regulators were having trouble with the record of how the shares had been acquired, and what the liability might be if Yevtushenkov’s right to sell the shares were to be challenged in court. Before that, the crimes for which he is now charged were very well-known. They started with investigation of the initial privatization of the state shareholding in Bashneft, which commenced in 2003. By 2008, the shares had passed into the hands of Ural Rakhimov (below, left), son of the president of Bashkiria (Bashkortostan), Murtaza Rakhimov. Ural became Bashneft’s chief executive. In 2010 one of the republic’s senators in the Federation Council, Igor Izmestiev (right), was convicted of organizing contract killings and terrorism, and sentenced to life in prison. Since then Izmestiev has been offering to testify against Rakhimov and against Yevtushenkov, in exchange for a reduced sentence. Rakhimov is reportedly in Austria, but the keenness of the Russian prosecutor’s pursuit of him is unclear, as are the court proceedings against him in Moscow. The charges against Rakhimov have not been turned into an Interpol red notice. The details of the Bashneft privatization appeared in all the due diligence undertaken when Bashneft was attempting to launch its IPO. 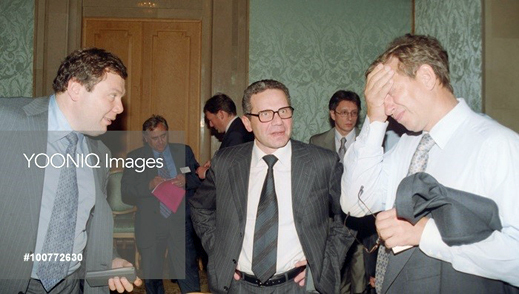 Too much murk in the files for Lord Peter Mandelson (right), the special independent director Yevtushenkov hired for his Sistema board in June 2013, to persuade the banks,brokers and the authorities to forget or forgive. 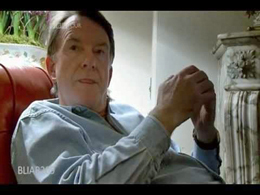 For Mandelson’s failure to earn his emolument, read this. The mandated bankers now say they knew all along that the Bashneft share sale was a desperate measure on Yevtushenkov’s part. They knew the IPO followed several abortive attempts Yevtushenkov had earlier made to sell up to 25% of his Bashneft shares. His try with the Oil and Natural Gas Company (ONGC) of India had aborted by the end of March 2011. Yevtushenkov then commissioned a middleman to go to Beijing and meet with potential Chinese buyers. These included Sinopec, which invited Yevtushenkov himself in September of 2011. He sent a cutout instead – a well-known individual who was trusted by Yevtushenkov and his family to pull off a deal, but whose involvement could be denied if it leaked out. The Chinese held their noses. Yevtushenkov headed instead for London. More than a year of nose-holding followed there. In Moscow, the nasal passages seemed clear. So what explains the decision Prosecutor Bastrykhin made in September, and which he is believed to have cleared with Putin earlier? That there was ample evidence to charge Yevtushenkov was evident once Rakhimov Junior had been charged. That Yevtushenkov may have deterred or delayed an earlier indictment is suggested by the public record of his interviews by prosecutors months before his September arrest. 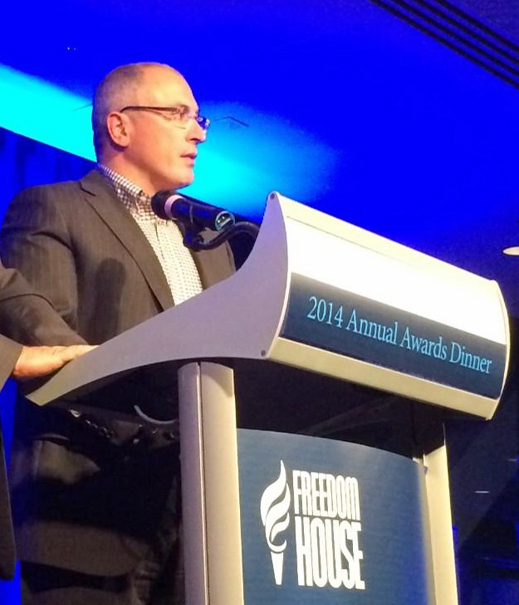 The conspiracy theories which have been canvassed in the Russian reporting of the affair do not substantiate foreign media comparisons to the arrest and conviction of Mikhail Khodorkovsky and the state takeover of Yukos. In his campaign to become Russia’s opposition president, Khodorkovsky is publicly encouraging the likeness. The evidence for Sechin’s motive is alleged to include an attempt early this year by Rosneft to buy two newly licensed oilfields, Trebs and Titov, from Bashneft, which Yevtushenkov blocked. 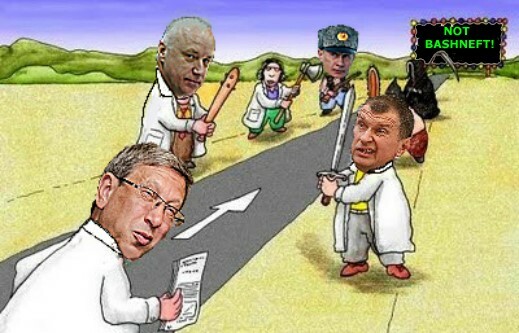 After that came a minority shareholder lawsuit against Bashneft in relation to its plan for developing the two fields. Bashkirian politics is alleged to have provided motive for claims against Yevtushenkov, after he was rumoured to be helping the Rakhimov clan oppose the re-election of the current regional president, Rustem Khamitov. On September 14, however, Khamitov trounced his opponents with more than 82% of the votes cast. If Yevtushenkov had posed a nuisance, it was a small and ineffectual one – and it had disappeared three days before the arrest. Political disloyalty of a more serious sort has been alleged against Yevtushenkov. This follows two years of Yevtushenkov’s dedication to the Kremlin’s strategy in Uzbekistan, the cost of which has been the billion-dollar loss of his mobile telephone concession in Tashkent. For that tale, read this. In the Ukraine, Yevtushenkov’s MTS telephone company has been exposed for as much as $2 billion in losses, as calculated here. That provides substantial motive for preserving his links to the ousted Ukrainian president, Victor Yanukovich; to the replacement regime in Kiev; and to other Ukrainian oligarchs involved in the eastern region war. Not to do so would be imprudent business, not a want of loyalty to the Russian side in the conflict. 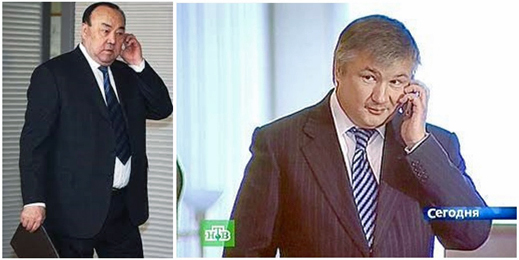 Unlike Mikhail Fridman (below left, photograph of 2002), the other Russian oligarch with a major telephone concession in Ukraine, Yevtushenkov (right) wasn’t born on the Ukrainian side of the frontier. Throughout the war, the two of them have kept comparably shtum. The silence has encouraged speculation by pro-Kiev Ukrainian media that Yevtushenkov has been marked by the Kremlin for helping to finance the Novorussian leadership in Donetsk and Lugansk; and for continuing to keep the money flowing after Putin had decided to remove several of the Novorussian commanders, particularly Colonel Igor Strelkov (Girkin). The theory that Yevtushenkov has been discredited because Putin is afraid of a nationalist challenge by Strelkov started in Kiev; was amplified by the opposition to Putin in Moscow; and repeated by US media of both the pro-Putin and anti-Putin camps. Days after this claim, it turns out that Yevtushenkov had been spending on the eastern Ukrainian resistance to Kiev, but then reportedly he went too far. According to the claims Latynina picked up from Ukrainian and Russian publications, Yevtushenkov, allegedly a onetime hunting companion of Yanukovich’s, had mediated for him with his replacements in Kiev, as well as with Sergei Taruta, Kiev’s appointee as governor of Donetsk. Latynina conceded she was guessing. More solid evidence exists of business links between Yevtushenkov and Konstantin Malofeev, one of the Russian financiers of the Novorussian movement. For instance, it has been reported and confirmed that Yevtushenkov is a shareholder of NVision Group, a profitable Russian internet systems integrator, along with Marshall Capital, owned by Malofeev. The latter appears to have acquired 25% of NVision’s stock from its founders in October 2013, and then in January of this year, he and Yevtushenkov agreed that Sistema would buy 38.75% of Malofeev’s stake. That deal was reported as involving a payment of $37.5 million and $45 million in Sistema shares for Malofeev. The start of this process was reported by Sistema in July 2012. The conclusion was reported by Sistema on January 23, 2014. About Malofeev there is also reliable evidence of his role in financing some of the Donetsk and Lugansk militias, as well as Strelkov. 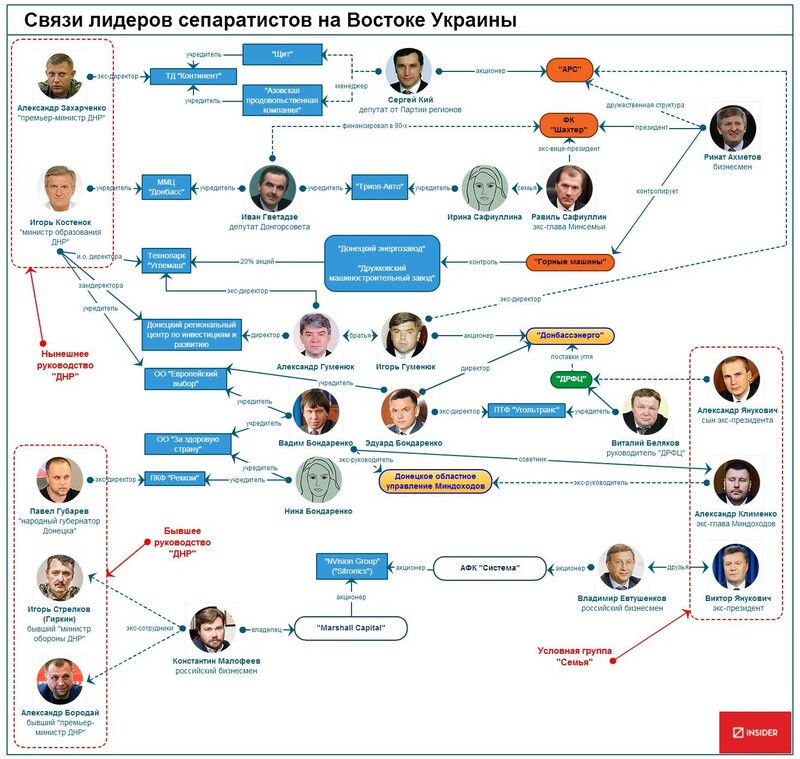 A chart of organization and influence (below) has been published in the Russian press, purporting to place Yevtushenkov between Strelkov on the left, Malofeev in the centre, and Yanukovich on the far right, almost out of the picture. No line, and no evidence of cashflow, substantiate any link between Strelkov and Yevtushenkov. Strelkov blames several unnamed Kremlin assistants for betraying him and the Novorussian cause, and he has singled out one name, Vladislav Surkov. But Strelkov is also believed to have support from much stronger presidential figures like the presidential chief of staff, Sergei Ivanov. If either man or faction around Putin persuaded their boss to shut down Strelkov’s money supply, it has not been explained why they should pick on Yevtushenkov, when Malofeev was, and is today, not less vulnerable. For VTB’s dossier on Malofeev’s wrongdoing, read this.